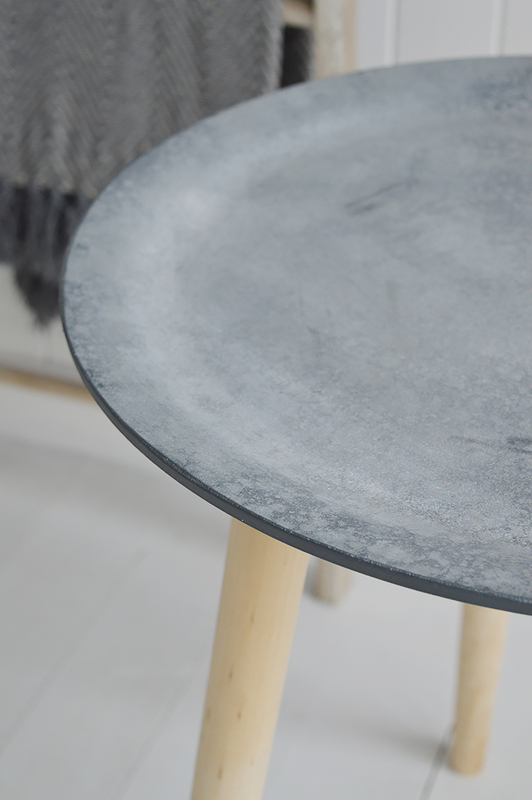 The Boston Bohemian table with a grey slate effect top. 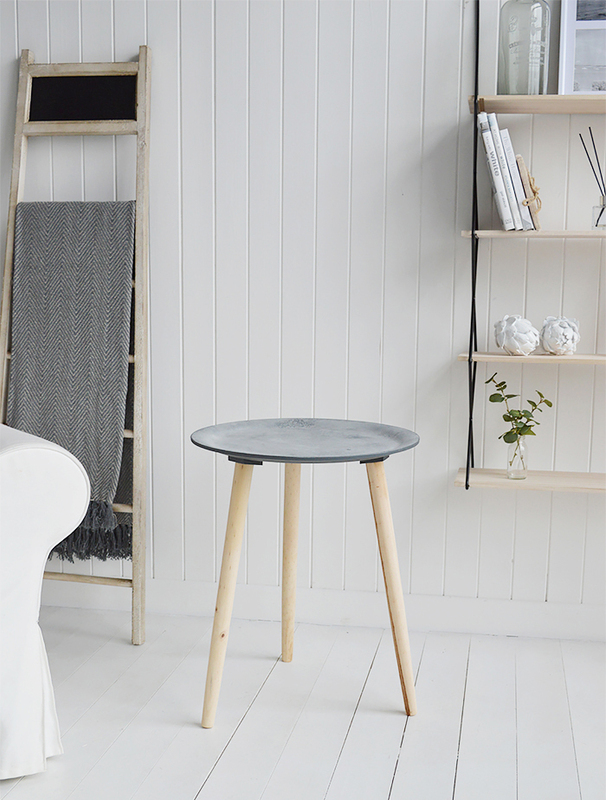 The simple defined lines of the three natural coloured wooden legs allow this table to blend with all styles of interiors from Scandinavian to New England, country ro Coastal. 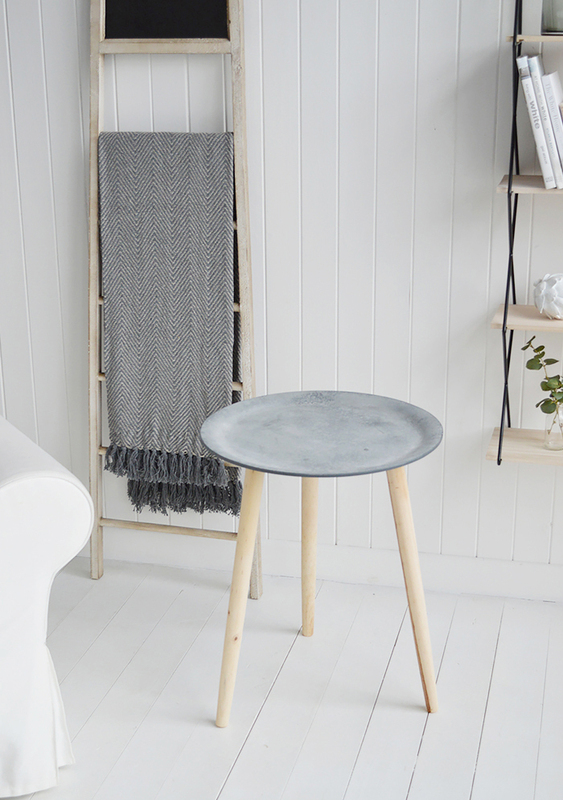 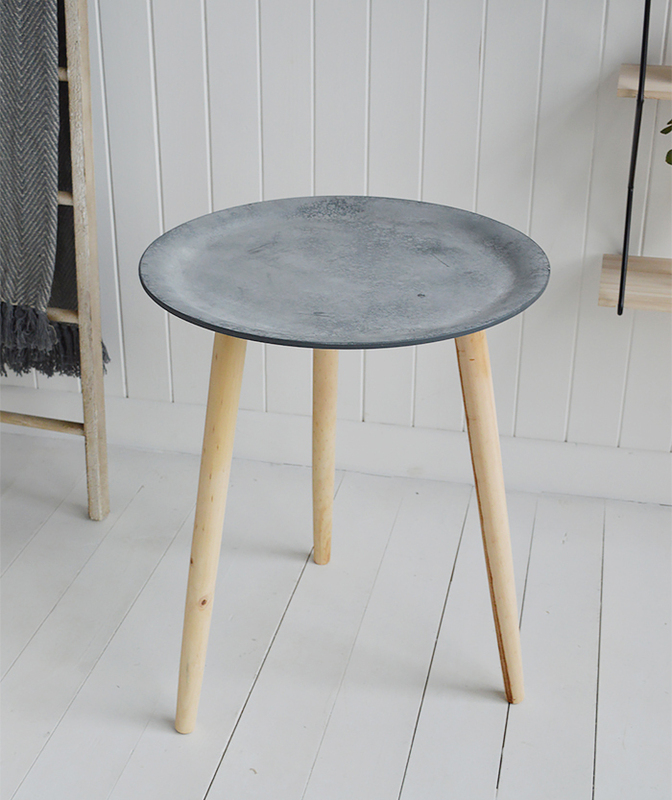 Making a perfect bedside table in the bedroom, side or lamp table in the living room, all interiors will co-ordinate perfectly with the natural colours and textures of this tripod table.